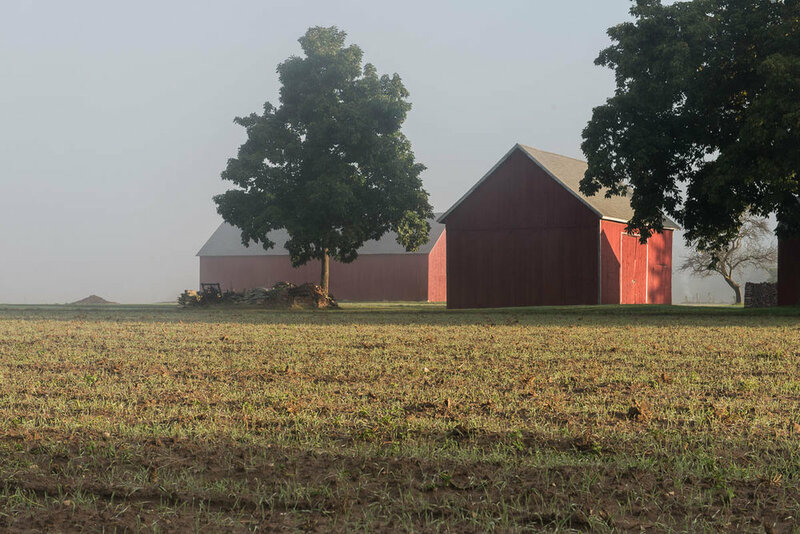 Near my home there’s a collection of old red barns on a tobacco farm near the Connecticut River. Each day the scene changes, but the barns remain the same. Their simplicity is a source of inspiration and solace. The photographs in this essay were gathered over the course of a year.